After several years of searching we finally settled at a facility that matches our quest for excellence in the sport. We are located at Kelynack stables, a world-class facility conveniently located a few minutes off of HWY 401 and 407. This central location which is 20 minutes west of Pearson Airport and 20 minutes east of Hamilton allows easy access from anywhere in the GTA. The location is also ideal for riders who wish to be close to good post-secondary schools. We are within an easy driving distance of McMaster, U of T, and University of Guelph as well Mohawk and Sheridan colleges. This enables young riders to continue their high-level equestrian training without compromising the obligations of their university or college degree programs. Many of our university aged students are able to ride almost every day while maintaining their full time academic pursuits. 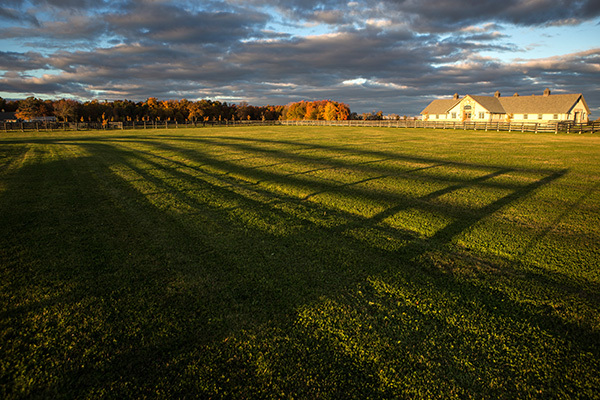 The impressive Kelynack Farm is a world-class training facility with 4 separate and beautifully appointed barns that sprawl across 200 scenic acres. One barn is dedicated entirely to our A circuit hunter/jumper operation and the others are dedicated to high-end race horses in training, breeding, rehabilitation and lay/ups. Being a highly secure and exclusive equestrian facility, the beautifully landscaped farm boasts state-of-the-art sifted premium indoor and outdoor footing including several de-stoned grass paddocks, insulated indoor arena with synthetic European footing, 1/2 mile sand training track, 8 horse hot walker, 40 acres of hacking trails, and so much more. The quiet and scenic Kelynack farm offers a serene and peaceful escape from the hectic city life. The CDS barn is unique in that it includes state-of-the-art amenities for both the horses and their people. 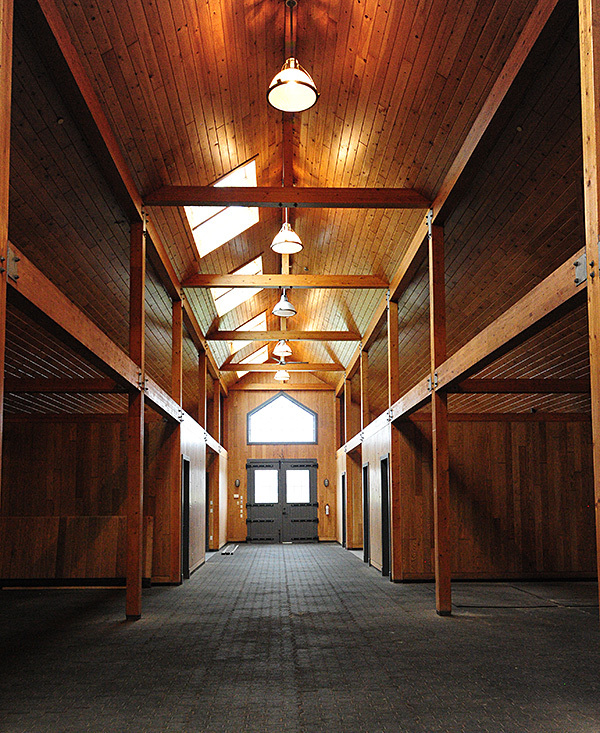 The horses enjoy an insulated and beautifully designed barn with fully rubberized non-slip flooring throughout, large bright stalls with interior-facing stall gates, 100' X 200' insulated indoor arena with premium synthetic footing, four large fully-equipped grooming stations, and numerous lush de-stoned paddocks for daily turn-out. The care and quality of our boarding services exceeds traditional 'A' circuit standards and includes 1/2 day turn-out, 12' X 12' box stalls, night check, premium feeding programs, general horse care and management, veterinarian/blacksmith scheduling and record keeping, and much more. 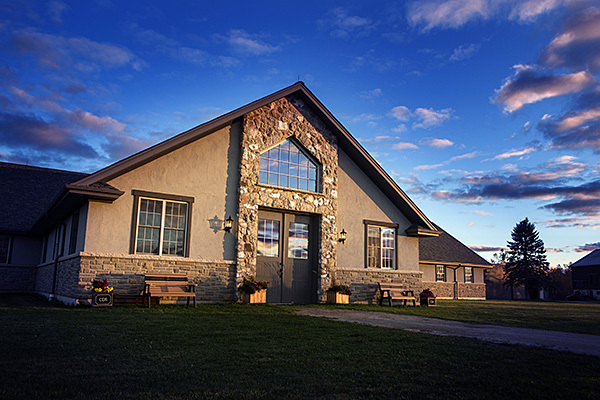 The barn also offers parents and riders a full kitchen and eating area, living room with a large screen TV and entertainment system, separate heated men's and women's washrooms, free WiFi throughout and a fully equipped work station with public computers and a printer. Our arena also has a cozy heated viewing lounge complete with a stone fireplace and hardwood floors. The well designed barn and arena are fully insulated and offer year round riding day or night, even on the coldest winter days.